We are Manufacturer & Supplier of Stainless Steel Pipe Flanges, SS Slip on Flanges, Steel Lap Joint Flanges, Stainless Blind Flanges Exporter in India. Stainless Steel Flanges that are being sourced by using high quality of raw material and makes sure to provide durability of highest quality of industry standard products. 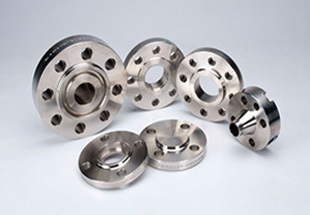 A flange is a sphere of steel (forged, cut from plate, or rolled), which is being proposed to join the parts of a pipe, or to connect pipe to a pressure vessel, pump, valve or other essential flanged assemblage. Pertaining to the clients' requirements, we have been committed to manufacture and export a wide range of Stainless Steel Flanges. These flanges are manufactured using superior quality stainless steel and other materials in order to meet the international quality standards. 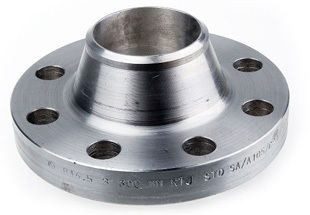 We are offering these flanges in different grades, sizes and specifications as per the needs of clients. These Stainless Steel Flanges are extensively used for various industries like chemical, heavy duty and construction. Stainless Steel 304/304L Flanges Manufacturer, SS 310/310S Plate Flanges, Steel 316/316L DIN/ASME Pipe Flanges, SS Socket weld Flanges Suppliers in India. Kuwait, Jordan, Mexico, Venezuela, Saudi Arabia, Africa, Ethiopa, Germany, Israel, Colombia, Argentina, Brazil, Iraq, Democratic Republic of the Congo, Canada, United States, Kazakhstan, Uganda, Egypt, Mozambique, New Zealand, Houston, Ghana, Iran, Thailand (Bangkok), London, Tunisia, Chine, Malaysia, Russia, Azerbaijan, Peru, Trinidad and Tobago, Bahrain, Indonesia, Dubai, UAE, Morocco, Italy, Sudan, Australia, Turkey, Angola, South Africa, Algeria, Cameroon, Vietnam, UK, Nigeria, Sri Lanka. Khartoum, Pretoria, Kano, Bamako, Cairo, Bethlehem, Algiers, Port Elizabeth, Jerusalem, Lusaka, Tel Aviv, Dubai, Dakar, Zaria, Subra al-Haymah, Bulawayo, Cape Town, Brazzaville, Kolwezi, Colombo, Kinshasa, Giza, Kaduna, Mecca, Johannesburg, Port Harcourt, Harare, Antananarivo, Muscat, Soweto, Jeddah, Omdurman, Abidjan, Fez, Tripoli, Dar es Salaam, Singapore, Casablanca, Hong Kong, Manama, Mogadishu, Istanbul, Alexandria, Lubumbashi, Data from the UN, Addis Ababa, Riyadh, Beirut, Mbuji-Mayi, Freetown, Sharm el-Sheikh, Nairobi, Cairo, Accra, Aqaba, Conakry, Luanda, Tehran, Kampala, Amman, Byblos, Maiduguri, Ibadan, New York, Abu Dhabi, Rabat, Yaoundé, Benin, Douala, Maputo, Ouagadougou, Dammam, Durban, Doha, Lagos.